Female: Sometimes I think of Jason Hartman as a walking encyclopedia on the subject of creating wealth. 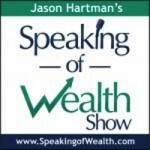 Jason Hartman: It’s my pleasure to welcome Michael Weissman to the show. He is the chairman, CEO and co-founder of SYNQY and we’re gonna talk about internet marketing and how to share viral data and viral offers. And I think you’ll be impressed. It’s a pretty unique system. Michael, welcome, how are you? Michael Weissman: I’m great. How are you? Jason Hartman: Good, good. And you’re coming to us today from northern California, just outside of San Francisco, right? Jason Hartman: Fantastic. Tell us about SYNQY. Well, first of all tell us about the big problem that marketers face online because that’ll be a better lead-in to understanding the product. Michael Weissman: When people are online and they’re interacting with marketing internet ads and things like this, they really don’t like it. We have what we call banner blindness. And so you have to ask yourself why do people not like internet marketing? Why does it not work today? It’s because it’s very distracting. And what we’re doing is we’re starting with this really odd thought process that the best way to market is to distract somebody from what they’re doing today and to bring them to where you are. This is analogous to building a restaurant in the woods and busing people to it. Or, worse, I had a guy give me an analogy if you are watching football on the weekend and you got to the commercial it would switch to the Budweiser channel and leave you there. You would be on your own to find your way back to the NFL. This is sort of how we market on the internet today. And customers don’t like it which is why click through rates are so low. Jason Hartman: Makes sense to me. So, what is the solution for this then? To have the content be more relevant? Michael Weissman: Why are we trying to drag somebody away from what they’re doing? It’s because we haven’t been able to deliver the experience we want the customer to have where the customer already is on the internet. They’re reading articles, they’re shopping for products, they’re interacting in the social sphere. Why don’t we deliver more of our story where they are? Jason Hartman: Right, instead of making them leave that page, right? Michael Weissman: And come to you. Jason Hartman: It really has something to do with a term Seth Godin coined so many years ago, interruption marketing, right? Michael Weissman: Exactly, exactly, which is not a positive experience. To make matters worse, when we communicate today on other people’s sites we usually have textual information, static information and out of date information. It’s very challenging if you’re a manufacturer and you have a dealer network, for example, to make sure that the dealers have the up to date information. One simple example of this is if you were to type in “Pepsi” in a Google Image Search, a Pepsi logo for example, you would find that about 2/3 of the logos that show up are not the current Pepsi logo and they updated that logo 5 years ago and they spent a million dollars on the graphic of the new logo but it’s still wrong in 2/3 of the cases. Jason Hartman: Yeah, it’s just impossible to coordinate that and keep the offers current, the information current, the images current, right? Jason Hartman: Let me guess. The state’s gonna come along, find you, shut you down, put you in jail…Sounds like the socialist republic of California to me. Michael Weissman: The offer stays valid as long as one dealer continues to have the offer publically being communicated. Every person in the state of California can benefit from the offer, even if the expiration date has been passed. Jason Hartman: Yeah, that could be scary. So, even if it says “Expires on October 4th” it’s still valid just because it’s there even though it has an expiration date written on it? Michael Weissman: That’s right because it’s continued to being advertised and promoted as valid. Now, I don’t believe that California is alone in this but I just know for a fact that California has this law. And so what happens is that how do you manage to have a really compelling experience as a marketer on sites that you don’t own? Jason Hartman: Right, and you don’t control. So this is a way to control I guess a small, small element of what is on someone else’s site, right? Jason Hartman: But in the current environment, they’re really not what I own or what anybody listening might own. It’s what someone else owns. Michael Weissman: It’s what they own but they have granted you a piece of that real estate which doesn’t expire. So the question is do you want to build something on that? Think about Monopoly as a game. If you own all the property in Monopoly but don’t put houses and hotels on it, you’re never gonna win the game. So, how do you get more out of that space? You put out a press release and you’ve announce a new product and a picture of that product shows up in an article. That’s a piece of real estate that you’ve been granted. It’s not going to expire. That content remains on the web indefinitely typically. So, that’s a place where your brand is being represented and people can go back and search on that and find that content, but that content may expire in its usefulness. Or, worse, it may conflict with the current message you’re trying to communicate. What SYNQY does is it allows you to control that location and tell a bigger story that’s always current and always consistent and always relevant. So we turn those static images into what we call micro-experiences which is a new kind of content, if you will, which can engage a customer at the point of the first touch point that the consumer has with your brand which is may “I’ve read this article. Oh, wow, who’s Jason? This is really interesting. I want to know more about him or the products he offers.” We can deliver that engagement at the point that he does the engagement, at that point of greatest enthusiasm that he might have for you. Jason Hartman: Okay, so tell us more. What is the technology behind it? How, with SYNQY, does the user get to own or develop I guess, own that developed land – to use the metaphor you gave – on someone else’s site? Michael Weissman: So, let’s break it into two parts. Jason Hartman: And maybe the first question, before you even answer that, is how do you get it there in the first place? Are you paying for advertising on their site or are they just sharing your content virally? Michael Weissman: It’s an excellent question. So, there’s a social contract that happens between providers of content and publishers of that content, that you are going to provide something meaningful to them and they’re gonna provide something in return that’s meaningful to you. So, in the example of a news organization, you’re providing news, content that they find interesting. They’re providing for you an avenue to readers who might find that content interesting. So what happens typically is a media organization will find out about a story and they will ask the publicist or the PR department or the company itself for content. Hey, can you send me a picture? Can you send me a video? Can you send me your press release or some piece of content that you want to share with your readers? So there’s this social interplay that happens. Instead of sending them a JPEG which they have to code up and put on the site, we have them share a SYNQY embed code which is no more complicated than a YouTube embed code. It’s just a single piece of code. Jason Hartman: It’s not the same as a link, though, right? Michael Weissman: It is not the same as a link because a link is actually pointing away from that page. What we’re doing is delivering the content in the page. So, the consumer isn’t taken away from the site their own, the publisher is happy that they haven’t driven the consumer away from their page and you’re happy because you’re expressing more of your message. So everybody kind of wins in this model. Michael Weissman: So, in the case of a reseller or say you’re sponsoring an event, what typically happens is your event organizer says “Hey, send me your logo or your picture or your product information, whatever it is that you want to express there. And instead you give them this code. When you give them the code, what appears could be the logo, it could be the image, it could be whatever it is that you’re trying to express, but if you click on that you can get a rich engaging experience which can include videos, PDFs, HTML, Flash, and the combination of all of that, landing pages, whatever you want – you can be delivering that all from inside one experience without ever leaving the site that you’re on. Jason Hartman: Yeah, that’s pretty awesome. That’s a win-win-win actually. It’s a win for 3 parties. It’s a win for the consumer because they don’t have to leave and find their way back like we all have a million browser windows open which is totally annoying and then it’s a win for the marketer who has the offer that using SYNQY, the SYNQY client, and then it’s also a win for the site host – I guess I’ll call them a site host if you will because people don’t leave their site. And the person using SYNQY, the marketer, gets to have their content constantly updated and they retain control of it. Michael Weissman: Think about it. If you’re a reseller, for example, who wants products that are obsolete on their website? All that creates a hassle for that owner. If you have a promotion that’s expired and a customer calls your customer care office and says “Hey, you have this coupon and the coupon’s no longer valid”, nobody’s happy with that model. Jason Hartman: Makes sense. Okay, what else should we know? Michael Weissman: So, I think that if you’re strategizing about how am I gonna market differently online than I market today? A lot of attention has been to PR activities and things of this nature. And one of the things that we have discovered is that people don’t read much anymore. Jason Hartman: ADD. We’ve got to, it’s a survival mechanism. Michael Weissman: It’s a survival mechanism. I read a stat by Eric Schmidt, the chairman of Google. Jason Hartman: The one who said privacy isn’t that important. 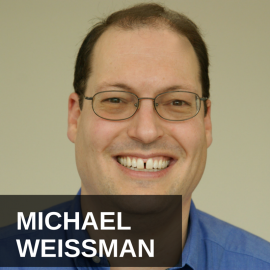 Michael Weissman: I won’t debate that one with you. Jason Hartman: I did a show on some of the evils of Google which I think of course it’s a great company – no one can deny that – but this mission statement “Don’t be evil,” right? And I interviewed the author of Search and Destroy on one of my shows and he talked all about the bad things that Google does to us. We gotta remember when using Google products, the way we’re paying is with our information. But lest I diverge, go ahead, sorry. Michael Weissman: So, what he said is “More content has been created in the last 48 hours than was created since the beginning of time up to 2003”. So, we as consumers are deluged with content. So, to your point, we’re having to cope. And the way we cope is we scan instead of we read. So an average press release can be anywhere from 400 to 800 words. And the average consumer is reading less than 50. And so what’s happening is the ability for us to create positive outcomes off of press coverage is shrinking. .And, if you were to look, for example, at USA Today online, it’s fascinating because USA Today starts to look like Pinterest and Instagram. Jason Hartman: It’s pictures and captions, right, rather than actual articles? Michael Weissman: Well, the article comes but the article is the call to action result. It’s the result of the call to action to “I find that interesting”. So, if you look at the stats – go to Alexa or something like this and look at the stats of USA Today and the leadership has skyrocketed in the last 90 days, absolutely skyrocketed. Jason Hartman: So they’re getting it. They’re getting it, right? Michael Weissman: They’re getting it. They understand it’s visual first and textual second. Jason Hartman: Interesting, very interesting. So, when you use some examples of companies doing it right, give us some other examples of how companies are adapting properly and successfully to the new world in which we live. Jason Hartman: Why? What are they doing right? Michael Weissman: Well, again, it’s a similar type of thing. It is headline imagery centric. I think they’re another example. I think that on the pure marketer side, our customers are just starting to engage this way, so I can’t point to here’s 20 guys who are breaking all the rules and blowing away the model because it’s just starting to happen, but I think a good example of somebody who’s doing something interesting just on the mobile site point of view is somebody like Mountain Dew. Go look at the Mountain Dew mobile site. Jason Hartman: The drink that rots your mouth, yes. Don’t you love my little snarky comments? Michael Weissman: You aren’t gonna beat me into that one. Jason Hartman: I hope that’s not your client. Michael Weissman: The key thing that what you find is that they’re expressing their brand more emotionally. One of the problems that happens…I was watching a Ted Talk this morning and in the talk this guy was saying that text is inherently emotionless which is a fascinating concept. Jason Hartman: Pictures and even just the sound of a voice is more emotional. I mean, look at the difference between an audio book and a book that you read. Some people love to read, and I do too, because you get to create your own idea of what you’re reading in your mind which is really interesting and everybody’s idea is a little different. But with audio, you add one more dimension to it, and you hear not only the words but you hear the emotion of the author or the narrator. Michael Weissman: I had a marketer tell us when we were just starting to launch the product and she had a very interesting notion. She said that marketing on the internet is inherently lacking an emotional connectivity. It just doesn’t connect with people. Jason Hartman: Yeah, Mountain Dew, what are they doing? Jason Hartman: Order now, order now, order now. Michael Weissman: Yeah, so the perfect example is I have a friend of mine who’s divorced and I ask what’s the dating scene like. I’ve been married 25 years, I was just curious what he’s going through, and he said that it’s absolutely crazy. He has people asking him on first dates that if you’re not intending to get married, I don’t want to have a second date. So what ends up happening is these women are alienating the men who might want to have a second date and just get to know the person before they have to make a decision whether they want to spend the rest of their life with a person he just met. I mean, he gave an example of a woman in the first 5 minutes, this thing was the first thing out of her mouth and it was a blind date. Jason Hartman: Wow, that’s amazing. May I ask the ages of the parties involved? Michael Weissman: Yeah, this is late 40s. And what he was saying is analogous to what we’re doing online. Online we’re saying you don’t know me but let’s get married. And so there’s a courtship that needs to happen that often doesn’t happen in internet marketing. And what I think is interesting that Mountain Dew is doing is they’re saying we just want you to experience the brand. Mountain Dew is a low involvement purchase. So really what it is about is about feel and tone and identity with the brand that the things that happened in the brand and the people who are reflected in the brand get reflected in you and you see the connectivity between you and the brand. There’s all sorts of ways to market. Those are not transactional. No marketer at Mountain Dew is going to look at that Mountain Dew site and say, okay, how many cans of Mountain Dew got bought at this retailer because of that? We get so caught up in the transactional performance based approach that I think we sometimes lose the bigger objective of marketing which is to move people down a level of social engagement and emotional engagement with the brand which yields in different ways and manifests itself in ways that are not always transactional. Jason Hartman: Makes sense, makes sense, Relationship Marketing 101, right? Michael Weissman: That’s right. So, let’s just take something really kind of obscure but happens every day. Most marketers today do not think of manuals as a marketing tool, but a person reading an old product manual is the most likely person to buy the next product. But we don’t market the next product along with the old manual. Jason Hartman: That’s an interesting point of view. You mean on a paper product manual you’re talking about. Michael Weissman: Well, this could be, for example, a PDF online. We’re seeing this, one of our clients is involved in the IP phone business. So, what we told our client was you have people looking up 8 and 10 year old product, trying to find the user guide. Jason Hartman: They’re a great upgrade candidate. Michael Weissman: They’re a great upgrade candidate, but what you want to do – this is a micro engagement – they have a manual but why don’t you put a little video that says, hey, you could upgrade and get all of these features where it could be a call to action or it could be a landing page or it could be an interactive experiential thing. It could be whatever. But you could juxtapose the old content, which is relevant for their current crisis with the marketing of the new one at the moment that they’re most likely to be receptive to this. And this is what I would call kind of the after the sale marketing. And so I think there’s a lot of innovation that can happe4n along this continuum, and if we can stop obsessing about the transaction and start to engage people and create this connective tissue if you will, I think that we as marketers are going to be much more successful. Jason Hartman: I would agree with you. It’s just the problem is human nature – we all want the instant gratification. We want to make the next quarter look good, etcetera, and that’s why we tend to think in that very transactional way which is not beneficial overall to the business. I know we talked about Google but one of the talking points that we wanted to discuss is some recent Google changes and how they impact strategies and effectiveness for online content marketing. Michael Weissman: Yeah, I think this is a good topic. So, Google has changed their algorithms and this change in SEO is a fundamental shift in how people are going to market. In the old days, you would have keywords and you’d provide page links back to your site and Google has kind of caught on to this, so the black hat responsiveness to what’s going on here, they’ve started to change the algorithms pretty fundamentally. And what’s happening is that, let’s just take, for example, traditional SEO is basically dead and content SEO is gaining in strength, that authentic content, originated content is getting a much higher ranking in Google. And so content’s becoming king. A lot of guys were using a PR as a way to rapidly distribute links. But Google has now kind of put the kibosh on link stuffing, if you will, in press releases, so they’ve fundamentally changed how that is working as well. I think Google is up to some very important things. You have to squint to see where it’s headed, but you can sort of see where it’s headed. Google is moving towards the semantic web. For those who aren’t familiar, this is providing structure to the web so that it makes search more relevant and search easier. Jason Hartman: Tell us more about that. What does that mean, the semantic web? Michael Weissman: So, what that means is how do I know who’s a valid person to send somebody to in a search result? And the more structure that they put to the web, two things happen – the easier it is and the cheaper it is for Google to crawl all over those sites because it’s quite expensive, believe it or not, for them to crawl all of the sites that they crawl and try to determine whether your content is relevant and that you should justifiably show up high on a ranking on a certain search result, so they’re using things like they have these webmaster tools and other things like that that are trying to create structure to how you represent yourself to Google. At the same time, Google is aggressively forcing people into Google+ and you will get unnecessarily high rankings if you have a Google+ account than if you don’t, even if no one goes to Google+. So what they’re doing is they’re structuring Google+ in a way, because they’re sort of merging Google Places, which was a local strategy, with Google+. So if you want to show up in the Google Map, you sort of needed to have a Google Places. And if you had a Google Places, they instantly opted you into Google+ without your permission. So, it’s kind of a nefarious thing that they did. But, in doing so, what they’re doing is starting to force you into a normalized structure controlled by Google as to how you’re going to represent yourself. The more that they do that, and the more that they reward those who do that and penalize and search those who do not do that, the more they’re going to take over control of the overall web publishing. Jason Hartman: Very interesting, very interesting. So what’s the action step that listeners should take based on what you just said? Michael Weissman: From our perspective, you need to control the conversation that happens around your brand by moving your brand engagement and your brand storytelling to every digital touch point. And you need to do it in a way that you can still control that. And so what SYNQY was designed to do is allow you in every place that you’ve been given permission to have that conversation. Blogs, articles, social, etcetera, commerce partners and so forth to start to tell more of your story…The people’s response to the Google content as becoming king strategy is we’re calling spray and pray – you just create content, you throw it out there, and you provide links back to your site and all is gonna be good. But in doing that, you have to assume the consumer is going to see the mosaic of pieces, put the story together in the right order and make a positive transaction on that result which is very unlikely. It’s sort of like watching a movie one minute per day over 120 days. You’re never gonna see this story – you’re never gonna engage with the story that way, but we think that we’re gonna market that way and get an effective outcome. And so what we’re suggesting is move the story closer to where the consumers are, package the story into micro experiences that engage the customer at the moment of interest in a socially acceptable and compelling way and allow them to engage with your brand in the right appropriate ways in those locations that move people, that shortens the digital distance, if you will, between hearing about you and making a positive engagement with you. Jason Hartman: Yeah, good point to digital distance. That’s good, not making them go somewhere. That’s a big deal, that’s a real fundamental shift in the way the web works. Michael Weissman: The attrition rate is as high as 2/3 on every click. You go to your second click, you just lost 2/3 of your customers. Two clicks down, you’re at 11%, three clicks down, you’re at 3%. So, we’ve seen examples of promotions where there’s an article and the article points to here which points to here which points to Facebook which points to this and we’ve seen literally promotions that require 8 to 9 clicks to get there. In the best of circumstances, you’re dealing with about 1/500 of a percent click through rate by like the 6th-7th click. And so even if you have the most compelling promotions, you’re unlikely to get the outcome that you want. Jason Hartman: Yeah, very good points – I agree. Michael, give out your website and tell people where they can learn more about the product and just any final closing comment. Michael Weissman: Yeah, our company is called SYNQY and that name comes from synchronizing and syndicating your content everywhere it goes online. It is www.SYNQY.com. Jason Hartman: Fantastic. 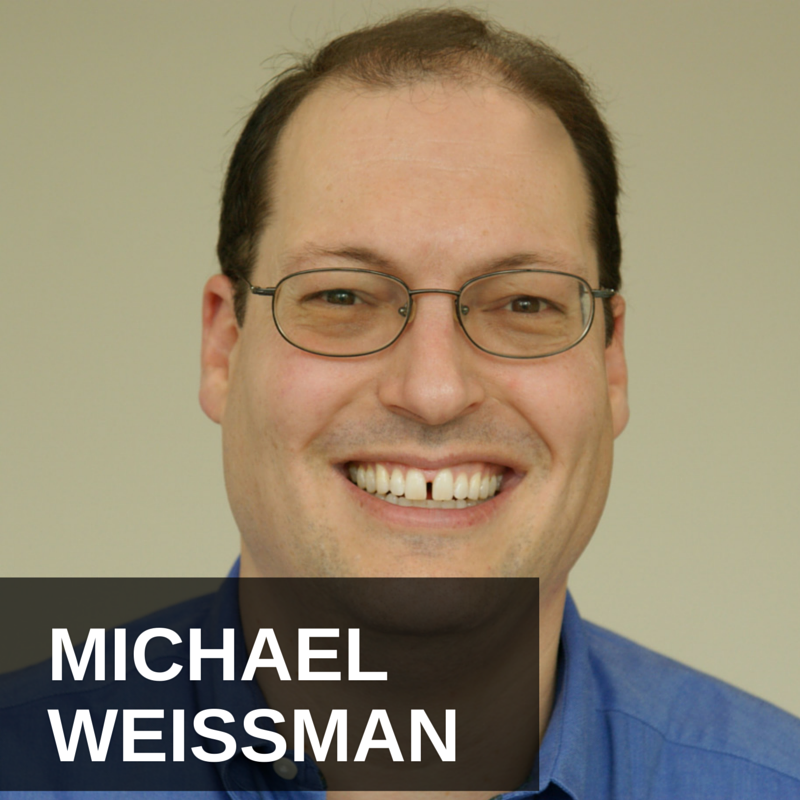 Michael Weissman, thank you so much for joining us. Michael Weissman: Jason, it was a pleasure. Have a great day.